At one point in my life I wanted to be a pharmacist, but when I became a teacher, I realized that that is what I was meant to be. I love helping people. I see how much difference it makes in a student's life when he or she starts to feel confident in Math class, starts to get high scores, starts to dream big. Math opens the doors to a better future, to a better career, to a higher self-esteem. I am grateful for the opportunity to help to make it happen. Very helpful! Julia was very hands on and wrote problems on a white board. She helped me better understand what I'm struggling with. Looking forward to my next session! Our son was tutored in math for 3 years while in middle school. Julia's tutoring provided a great foundation for his high school curriculum. It allowed him to finish one year of a college level math class while in high school. Our daughter was also tutored while in elementary school. Math is her favorite subject in school. We really liked Julia's teaching approach,great communication skills , and her patience . Was a great resource for my daughter in helping her improve in math, would recommend! Very knowledgeable and attentive math teacher. Had both of my kids attending her classes and very satisfied. My son just graduated VH High school with high gpa score. He is accepted to a University of his choice in Honors college. We are very happy with the academic scholarships he has received. I can't thank Julia enough for the help and guidance she provided for Brian. He was struggling until grade 7 or 8, but after getting additional help from Julia he was able to cruise later on his own. I would highly recommended her if anybody is considering tutor for they child. Great tutor. Was Tutoring my son for elementary school math. Gave him confidence and knowledge. Unfortunately we had to stop with Julia because we moved out of the area. I wish she was still my son's tutor. Julia is not only a great math teacher, who can explain challenging concepts to the kids, but also a wonderful and caring person. My son has been taking private math lessons with her. She makes the lessons challenging enough so the kid is not bored, but not so challenging that he doesn't feel discouraged. He is in third grade and they've been covering 4th grade material which allows him to get ahead of the curve. Very professional, explains subject really clearly, great with her students and cares about them . Our family had a wonderful experience with Julia. My middle school son was struggling with tests, both as part of the classroom testing as well as standardized testing, and Julia was able to identify particular weak areas and work with him on those areas. We saw definite improvement in test results and my son's general ability to organize an approach to solving math problems. As a result, he was able to advance to a higher level math class at his school. My son enjoys going to lessons with Julia, is dissapointed if we have to cancel a lesson, and has requested to continue to work with Julia even though he is now doing well in school. Julia is very pleasant to interact with, is flexible, tries her best to accommodate schedules, and her fees are reasonable compared to other tutors. We have tried several tutors and math programs for my children, and Julia has been one of the most effective instructors - Julia has my gratitude and the highest recommendation! I am a sixth grade student, and Julia has been a very good math tutor to me for about 3 years already, and I plan to keep going to her for a while. I am seeing lots of improvement at school, and my MAP and other test scores have increased greatly since the start of Julia helping me out this year. Two things that are great about Julia as a tutor, are that she never, ever yells or gets frustrated when I don’t understand how to do something. Also, she takes as much time as needed to explain a hard problem to me, and she does that very clearly, until I fully understand how to do that problem. My overall opinion of Julia is that she is one of the best math tutors out there, because I had to go through many other tutors to find a good one, and Julia is the best. Julia is a very talented and knowledgeable tutor. I would highly recommend Julia for any child's math tutoring needs. She is very reliable, flexible, and working extremely well with my son and daughter. She and my kids connected right away and having very positive experience. Julia made a real difference and contributed great deal into their academic success in school. My daughter has knows Julia for about four years and she never fails to have my daughtet feel uncomfortable for asking questions when she doesn't understand something. She explains information in a way my daughter understands. I defenitly recomened Julia for anyone that is looking for a tutor. 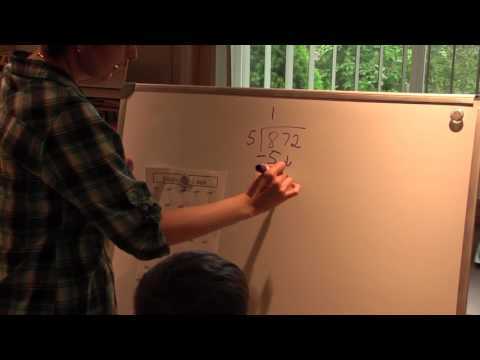 My goal with home tutoring was to keep my son interested in math and get him and advanced and challenging work well ahead of what he was exposed to in school. My son got a lot of individual attention from Julia. She was very patient and kind and was structuring my son's lessons to keep up with his learning pace. This helped my son to accelerate in math and prepare him well for ACT and SAT testing.